While most people are now off work, school & uni for Christmas, I'm still at work! So I thought I'd share some of my favourite Pinterest crafts, food, decorations & all things festive pins, so you can get inspired! Gingerbread houses are something I love to do in the run up to Christmas. I'm not confident enough to actually bake one myself, so always opt for the pre made options available and simply decorate them instead! Pinterest is a such a good source for inspiration, there are some truly awesome gingerbread houses. Follow Queen Bee Becca's board Gingerbread House on Pinterest. I think decorating the Christmas Tree is a total art. Some people just have the ability to make their tree look amazing, so I've taken to pinning tree's I love in hopes that one day I'll be able to create a Pinterest worthy one! Follow Queen Bee Becca's board Christmas Trees on Pinterest. There's no better time of the year than Christmas to get into crafting. From creating your own baubles to making your own gift boxes, there is an endless supply of crafts! Follow Queen Bee Becca's board Christmas on Pinterest. 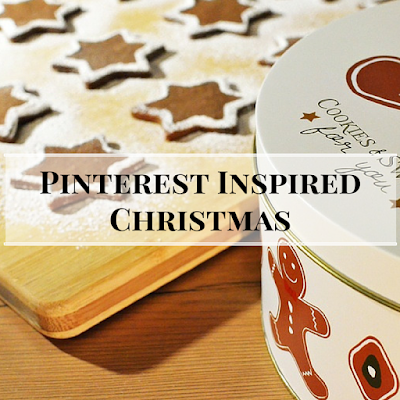 Have you made anything from Pinterest this Christmas?